Update: We’ve added new options from Day 4 of the Amazon Great Indian Festival including the HP Omen 17, which is available at its lowest ever price. Looking for a gaming laptop? Well, we have got just the deals for you. While there are many deals being offered in the ongoing Amazon Great Indian Festival and you might be tempted to buy any one of them, we are including only those laptops here which are being sold at their lowest prices ever. Check back every day till the Amazon sale ends to see newer deals for gaming laptops. 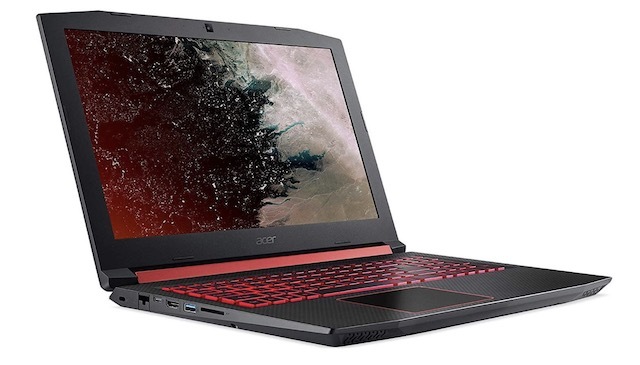 We will start our list with the Acer Nitro AN515-52 which is a great budget gaming laptop for anyone who is serious about their gaming. The 15-inch laptop is being powered by the 8th Gen Intel Core i5-8300H processor with a base clock speed of 2.30 GHz while the graphics are being handled by the Nvidia GeForce GTX 1050 Ti with 4 GB of GDDR5 VRAM. The laptop also packs in 8 GB of DDR4 RAM along with 128 GB SSD and a 1 TB HDD. While priced at Rs. 89,999, the laptop is generally sold around Rs. 70,000. However, in the ongoing Amazon Great Indian Festival, you can buy the Acer Nitro AN515-52 for just Rs. 59,990. You won’t get a better deal than this for a laptop that’s bringing the latest 8th generation Intel processor along with an NVIDIA 1050 Ti. 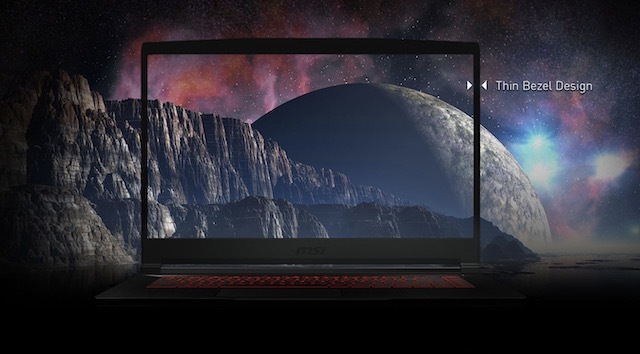 Another great budget gaming laptop for serious gamers is the MSI GF63 8RC-211IN which brings the 8th generation Intel Core i5 processor along with the Nvidia GTX 1050 graphics card. Apart from its raw specs, one of the best things about this laptop is its full HD display with thin bezels. Users also love the build quality of this laptop as it is using thin brush-metal top which not only feels premium but is also very light. Generally sold at around Rs 75,000, the MSI GF63 8RC-211IN can be bought for just Rs. 59,990 in the sale. 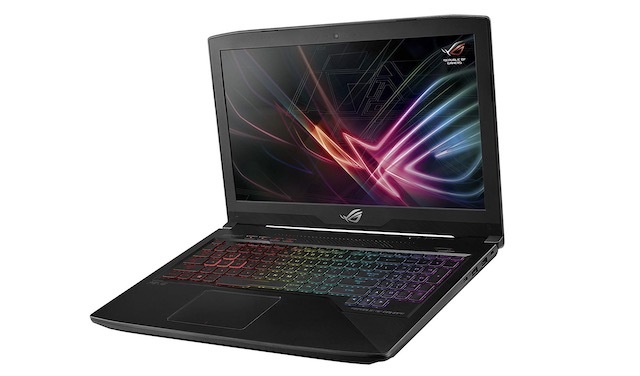 The Asus ROG Strix GL503GE-EN169T is being powered by the Intel’s 8th generation Core i5 quad-core processors with a base clock speed of 2.3 GHz. The laptop also brings Nvidia GeForce GTX 1050 Ti graphics card with 4 GB graphics RAM. There’s also 1 TB of HDD along with 8 GB of DDR4 RAM. However, the real USP of the device is its display. The Asus ROG Strix GL503GE-EN169T sports an ultrafast display with 120 Hz refresh rate and 3 ms response time. If you are into online competitive gaming, the 120 Hz screen will come really handy. Generally, you will find this laptop priced around Rs 86,000. However, you can buy it right now for just Rs. 69,990. That means you will be saving close to Rs 16,000 which is not a bad deal at all. 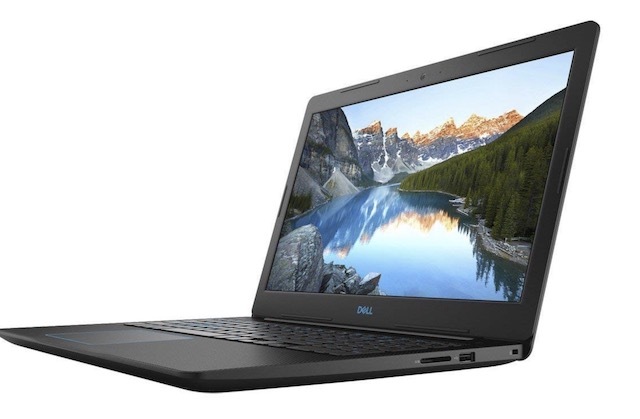 The Dell G3 3579 is part of the company’s latest lineup of budget gaming laptops and is powered by the 8th germination Intel Core i7 8750H processor with a base clock speed of 2.2 GHz. It also brings 16 GB of DDR4 RAM along with Nvidia GTX 1050 Ti graphics card with 4 GB of VRAM. There’s also a 1 TB HDD which should take care of all your storage needs, though you can always add an SSD after buying it. The laptop also comes with Dell’s onsite warranty which means you won’t have to run around to service centers if your laptop encounters any problem. The Dell G3 3579 is generally sold around Rs 1 lakh however you can get it right now for just Rs. 94,990. While this is not as big a discount as we have seen in other laptops in this list, this is the lowest price this laptop has ever been sold for (the previous being Rs. 99,990), so you are getting a good deal here. 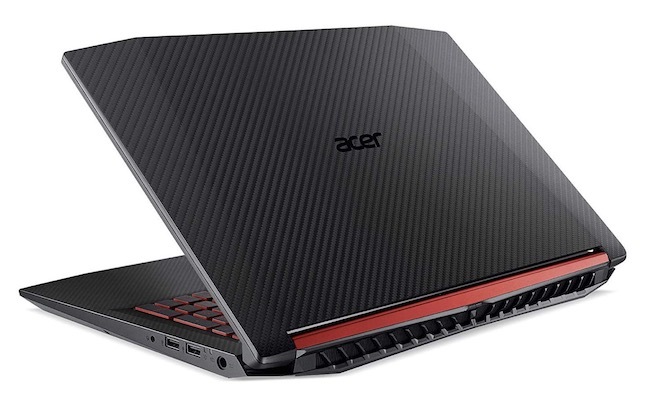 The Acer Nitro AN515-42 is a great gaming laptop for users who are on a tight budget. The laptop is being powered by the AMD RYZEN 5 2500U processor which has a base clock speed of 2.0 GHz while the AMD Radeon RX 560X graphics card with 4GB of GDDR5 VRAM. Other features of this laptop includes a big 15.6-inch full-HD (1920*1080) display, 8 GB of DDR4 RAM, Windows 10, 1TB HDD, and more. The laptop is powerful enough to play many leading titles at low to medium settings. The laptop has an MRP of Rs. 84,999, but is usually found for around Rs 62,000. But, if you buy it right now, you can get it for just Rs. 50,000. That is a crazy good deal. Looking for a desktop replacement gaming laptop? Look no further than the HP Omen 17 with a 17.3-inch LED Backlit 120Hz Anti-Glare IPS panel with a 1920 x 1080 pixels resolution. It features the last-gen Intel Core i7-7700HQ (2.8 GHz, up to 3.8 GHz with Intel Turbo Boost Technology, 6 MB cache, 4 cores) along with 16 GB (2 x 8 GB) DDR4-2400 RAM (2 x 8 GB), a 256GB PCIe NVMe M.2 SSD and a large 1TB HDD 7200 rpm SATA. All that power is backed by the Nvidia GeForce GTX 1070 GPU with 8 GB GDDR5 RAM. And you also get plenty of ports (including Thunderbolt 3), Bang & Olufsen-tuned dual speakers for an immersive multimedia experience. Usually, the laptop is priced at around Rs 1,72,000, but for this sale, its price has gone down to Rs 1,34,829, which is nearly Rs 38,000 off and a 30 percent discount on the MRP. If you are serious about gaming, then this laptop is a great option given the sale price. 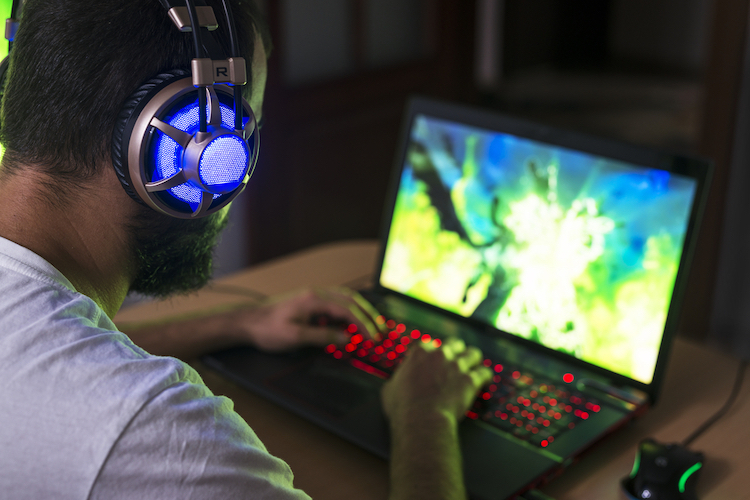 We will keep updating this list for the next three days so keep coming back to check the best gaming laptop deals you can get on Amazon Great Indian Festival. Also, let us know which gaming laptop you are choosing by writing in the comments section below. You can also click on the link above to see the best laptop, smartphone, headphones, and other tech deals from the Amazon Great Indian Festival.